The Minister of Finance and Economic Planning, Dr. Kwabena Duffour, has expressed extreme displeasure for being cited by National Democratic Congress (NDC) National Organiser Yaw Boateng Gyan, in the infamous secret tape recordings saga. A clearly distraught Dr. Duffour told Daily Guide that what Mr. Gyan revealed on the tape recording about picking money from him (Dr Duffuor) was completely false. “That is not the way moneys are released in the Finance Ministry,” he said. According to him, any money released from the national coffers goes through a strict procedure covered by a warrant. The Finance Minister told Daily Guide that he had no idea what the NDC national organiser was talking about. He threw a challenge to the embattled national organiser to establish the veracity of his statement. He has also personally asked the National Security to invite Mr. Boateng Gyan to cough up the documents backing his claims for securing funds for NDC activities from the ministry. “The ministry is very disturbed about it,” he complained. In the secret tape, the national organiser was heard making a statement about how the Finance Minister arbitrarily dipped his hands into national coffers to finance NDC hoodlums. Yaw Boateng Gyan, who was obviously recruiting hoodlums to cause mayhem in the forthcoming December general elections, was heard telling them how he could easily walk into the Finance Ministry to demand money from the minister. “When they gave me the money, it was the Finance Minister himself who called me and called the Finance Director, and told him (the Finance Director) that as for you [Yaw Gyan], you always come here talking about somebody, you have never spoken about yourself. So, I said I have some boys I am working with but now it is hard getting them planted. So he said okay, bring this, bring that and let me get some money for you so that you can give them,” stated Yaw Gyan on the tape. The statement made by the man has caused several interest groups to call for the head of the Finance Minister. Leading the charge is the Member of Parliament for the Assin North District, Kennedy Ohene Agyapong, who made the tape public and former Attorney General and NPP parliamentary candidate for Krowor, Nii Ayikoi Otoo, as well as a group calling itself Concerned Citizens. Since the revelation, the NDC and the government had been at the receiving end of intense backlash from opposition parties and civil society groups totally stunned by the recordings. 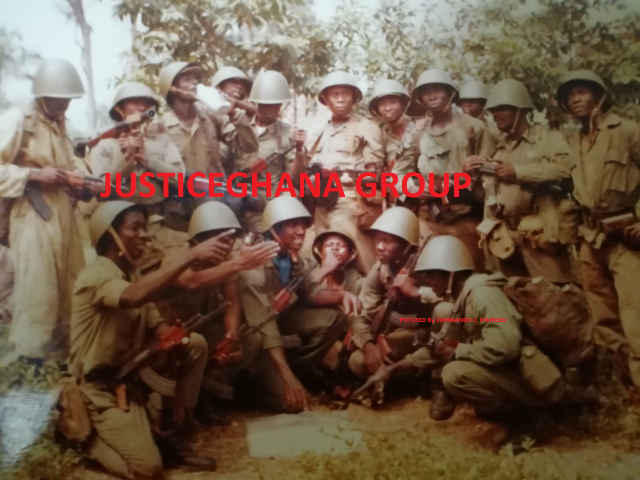 On the tape, Yaw Gyan was caught hatching several vicious plans to throw the country into chaos during the elections, including drafting party thugs into the National Security and the Ghana Armed Forces Special Forces regiment. According to the NDC national organiser, he would facilitate the planting of the NDC operatives into the security services as moles and they would be required to foment trouble and blame it on the opposition NPP, especially its presidential candidate, Nana Addo Dankwa Akufo-Addo. When boxed into a corner, Yaw Gyan, who initially skirted around the allegations, finally admitted that the voice on the tape was indeed his, but tried to justify the rationale behind his prepping in the over 30-minute recording. The breakaway faction in the NDC, the National Democratic Party (NDP), has also supported the immediate arrest of the beleaguered national organiser. “If the police and other agencies fail to do so [arrest Yaw Gyan], it would be incumbent on President John Mahama to order his arrest, set up a commission and demand answers,” Dr. Rockson said yesterday. Dr. Rockson described the content of the secret tape as ‘worse’ than those made by Ken Agyapong during the biometric registration exercise. He was charged with high treason for calling on Akans to attack Gas and Ewes. In the case of Yaw Gyan, however, he was laying down a systematic plan to cause mayhem with his accomplices, hence the call by civil society for him to be arrested. Incidentally, the National Security Coordinator, Lt Col. Gbevlo Lartey (rtd) stepped in and categorically stated that he was going to launch a full-scale investigation into the matter, which he described as criminal.